My name is Oghmeochuko Paul, I was a student in the 2013B class at the Ajegunle LIFE center. Before attending the training program, I worked with Frededo Prints for 3 years. I heard about the LIFE training from my younger sister who attended the training before me. During her training days, she came home daily with news of the activities at the center. More important is the fact that I noticed that she was beginning to change – the improvements I noticed were remarkable and I craved them too, so I decided to apply for the program. The ICT classes were very practical. I found the Graphics Design classes very interesting. For a fact, it was the foundation of my choice of course (Fine Art) at Yaba College of Technology, Lagos. This skill has also provided me with financial opportunities – as I get paid for the designs I do for people. The Life Skills classes helped build my communication skills and confidence. My entrepreneurship skills are now top notch, coupled with all I later learnt from Wave Academy after my program. I am now a Pastry Chef at The WheatBaker, Lagos. I intend combining my Graphic Designs and Pastry Skills in a business after school. Mukhtar Usman is an alumnus of the 2016C Dakata LIFE class. 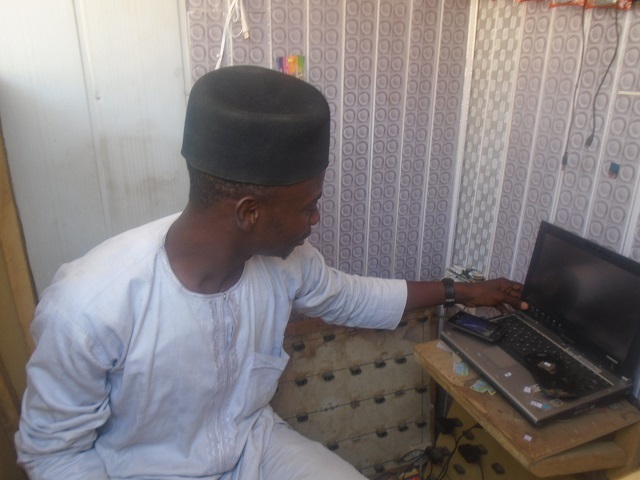 He heard about the program from a friend who was part of the 2016B class who encouraged him to attend because Mukhtar had informed him he was looking for a place to pick up and develop computer skills. In Mukhtar’s own words, “My life has changed. Paradigm Initiative taught me how to live a productive life and what is expected of me in furtherance of development in my community”. After the 8 weeks of training, Mukhtar decided to take on a new responsibility at Government Girls’ Secondary School, Kawaji, where he volunteered to teach Islamic studies. He did this at no cost just as he got his training from our DakataLIFE center. Paradigm Initiative changed my perspective about jobs. My mentality changed from being a job seeker to being a job creator”. Mukhtar now deals in sales of cellphone accessories, charging of mobile devices, mp3 and mobile software downloads and distribution. He has obviously tapped into his entrepreneurial knowledge and digital readiness skills to set up something he can call his own. Mukhtar specially appreciates Umar Amir Abdullahi (Program Assistant, Dakata Life) for his hard work, and also every other member of the LIFE team. He appreciates Paradigm Initiative for giving this opportunity without tribalism, sectionalism or religious skepticism. I have been able to do certain things myself after concluding my training at the LIFE program. I visit the cyber cafe regularly to practice my new knowledge of productivity tools and I have been making use of my vocational skills in order not to render them obsolete as I make plans to continue with my studies. All aspects of the LIFE training was advantageous to me — the ICT classes, entrepreneurship classes and Life Skills classes. 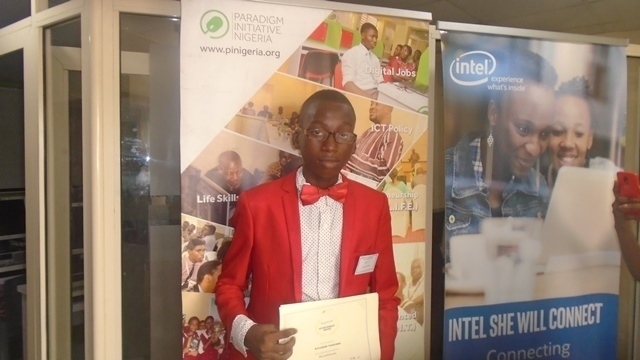 Growing up in the Ajegunle community, and with my family background, was not really an enabler in terms of digital readiness, so I had never had the opportunity to operate a computer until I was offered an opportunity for digital inclusion on a platter of gold through the LIFE program. With the training, I have assisted some of my friends with no prior ICT knowledge to set up their media presence, especially eMail accounts. I am presently in a Fashion School, training to become a fashion designer because I am more dedicated than ever now to make my entrepreneurship goals a reality. I also integrate my digital sophistication into my fashion work to complement the new knowledge I am acquiring. I had nothing serious to do because I felt there was no opportunity for a secondary school leaver like me. I however made myself useful in helping my mother to sell food in a school and I was also doing some house chores after sales. A friend of mine told me about the program. He was part of the program as a member of the Class of 2015D. I noticed a lot of changes in him after his training. 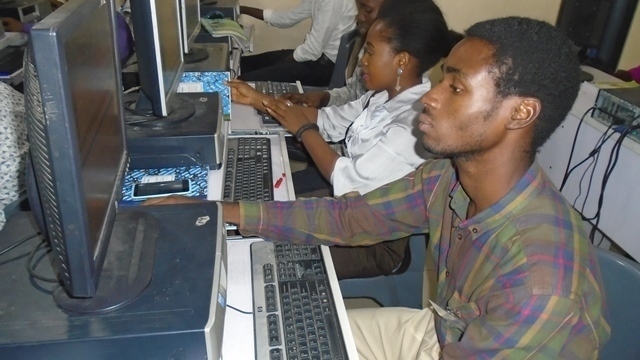 He was confident, tech-savvy and also got an employment opportunity after the training. “I want to be like Luckson,” I said to myself. I had little knowledge of ICT and entrepreneurship. Though I visited cybercafes a lot, there was little I could do with the computer. Ajegunle LIFE training has helped me in several ways and I can describe my experience during the training as wonderful. 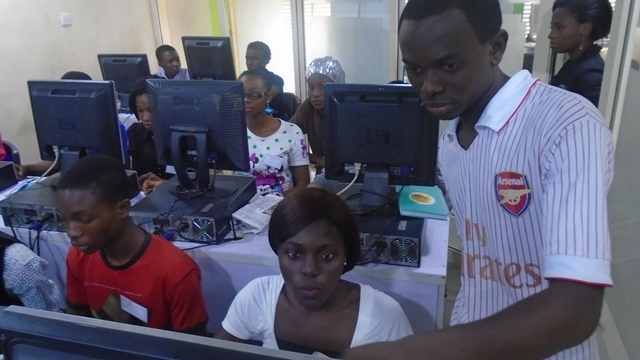 I learnt more from the ICT and Life Skills classes — which improved my confidence greatly. Now that I am through with the training, my main aim is becoming a notable and high valued Graphics Designer. Jeremiah is an alumnus of Ajegunle LIFE 2016D training. Jerry told us he was “an idle person who only got occupied with unnecessary activities”. He decided to look for an opportunity to get a well-paying job so he applied for the training through his cousin’s referral with the absolute mindset that the LIFE training would help him get a well-paying job afterwards. LIFE training inspired Jerry to do more and also taught him how best he could acquire skills and use them for more resourceful and productive things. In January 2017, he got an offer to work with Sapphire Nutritions and Diets Consulting where he has worked for 4 months and had to leave due to preparations for his school examinations. He is currently running different online courses on App Development, Game Development, Animation Creation and 3D Effects, alongside preparations for his university entrance examinations. I am so happy that I participated in the Aba LIFE training program. The training completely redefined my life. By the virtue of Aba LIFE training, I now have vast knowledge of the use of the computer. You need to see my website when I host it to know what I am talking about. Esther got a contract to produce complimentary cards immediately after her training. With her newly acquired graphic design skills, she has already began designing the cards and will soon move to production stage. Esther loves interacting with kids and she intends to impart computer/digital literacy to children around her. She also wishes to volunteer to teach graphic designing when the next #AbaLIFE training starts. Computer literacy had always been a major challenge for Glory Adigwe Kelechi, until AmbYoung Anyanwu told her about the Paradigm Initiative LIFE program. 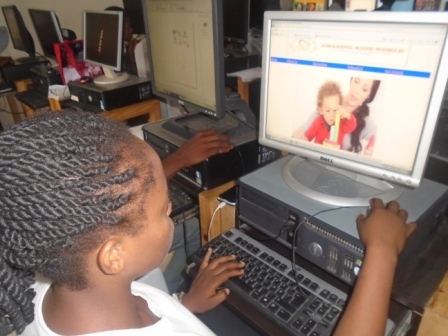 This is Glory’s account of her computer literacy story. I met Amb Young at a café where he told me about the program. He also told me about several other Ajegunle based youth he had referred to the program before me. He informed me about the achievements and track records Paradigm Initiative holds in training countless number of people in Ajegunle at a cost next to nothing. I was amazed when I heard all this; I never believed such an organization existed within the Ajegunle community. I signed up for the program and believe me, it has been a great thing of joy being part of the Ajegunle Life training. 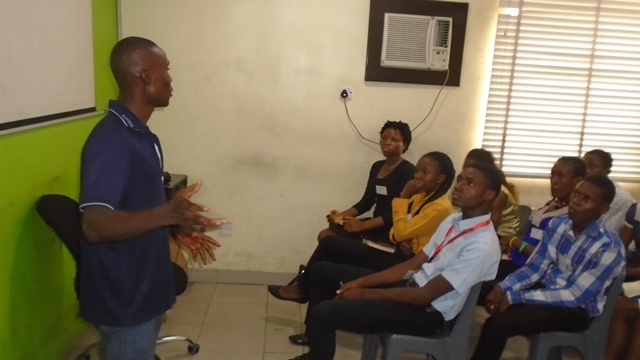 Before I joined the program, I was doing some home tutoring activities around Ajegunle, while I searched for jobs. During the course of the training, I learnt how to use Microsoft office tools and also how to prepare well-articulated business plans. As earlier mentioned, I had no prior knowledge of computer appreciation/application, or how to prepare a business plan. I learnt all of this within the space of 10 weeks, as a part of the 2016D class. The program helped me in the area of interpersonal relationship and also assisted me in overcoming the gender restrictions embedded in our society. I currently work with Custodian Life Assurance as a marketer. My short term goals include getting a positive response for the scholarship application I made to further my studies in a tertiary institution. On the issue of futuristic projections, I would like to establish a school, where education can be based on individual perspectives. Are Africa’s Low Internet Penetration Rates As Bad As Internet Shutdowns? The recent Internet shutdown in Cameroon once again highlighted a problem that has bedevilled Africa in recent months – Internet shutdowns. From January 7 to April 20 2017, Cameroonian authorities cut off Internet access from the North West and South West regions of the country to stifle dissent by citizens alleging marginalization of the English-speaking population of the country by the government of the Francophone nation. 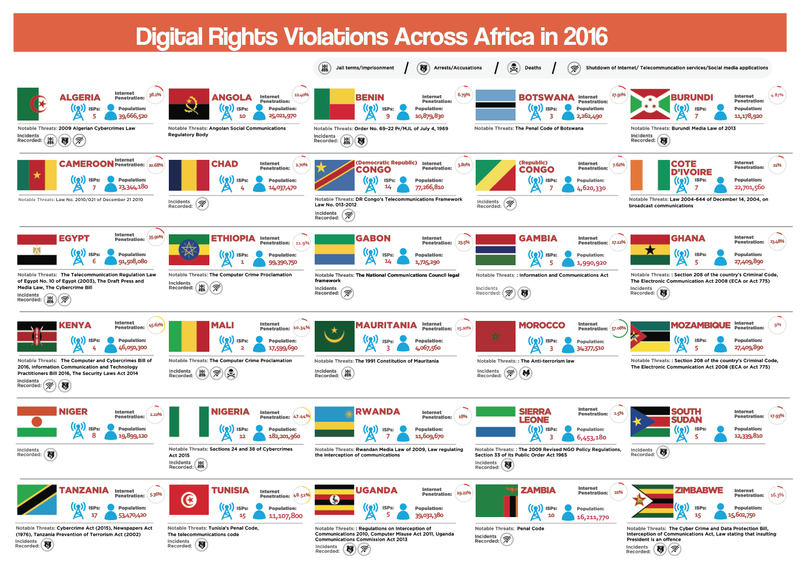 Notwithstanding the Internet or Internet applications shutdowns, which occurred in at least 11 African nations in 2016, the Cameroonian Internet shutdown of 2017 shocked Africans because of its length and the human suffering it caused. Digital rights advocates evolved various advocacy strategies to confront the challenge. One such strategy was highlighting the economic cost and opportunity cost of the Internet shutdown, and creatively stressing the stories of human suffering occasioned by the shutdown. The message being passed across is that Africa, in the midst of its dire developmental challenges, simply cannot afford the economic losses foisted by Internet shutdowns. Although civil society actors working in Africa can count the restoration of Internet access in Cameroon among their successes, a commentary from an ICT4D expert I read recently got me thinking about what Internet access or the lack of it really means for Africa. The commentary in question, citing world Internet penetration statistics, rightly announced that “Africa now has more Internet users than North America”. This statement, although accurate, can be misleading if interpreted out of context. It is exciting news of course that Africa now has more Internet users than a continent that hosted the early nodes that laid the foundation for the Internet. A closer look at population and Internet penetration statistics however tells another story. With a population of about 1.2 billion people and Internet penetration of 27.7% compared to North America’s population of over 360 million and Internet penetration of 88.1%, a catchy headline announcing that “Africa has more Internet users than North America” actually hides severe developmental problems. The maths reveals that Africa only boasts of slightly more Internet users than North America despite having about 400% the population of North America. Put another way, North America has nearly as much Internet users as Africa despite having only 25% of Africa’s population. These statistics are the offshoot of the situations in countries such as Togo, Tanzania, Somalia, Sierra Leone, Niger, Mozambique, Malawi, Madagascar, Liberia, Guinea Bissau, Guinea, Chad, Eritrea, Congo Brazzaville, Democratic Republic of Congo, Comoros Islands, Central African Republic and Burundi, where despite having millions of citizens, Internet penetration is less than 10%. This means that at over 90% (9 out 10) of citizens of these African countries do not have Internet access. In our modern world where many services and opportunities are only accessible through the Internet – a realization that necessitated the United Nations Human Rights Council to declare Internet access as a human right – communities lacking Internet access are automatically disadvantaged. Therefore countries, as the research evidence shows, which through deliberate policy hinder the development of telecommunications markets, should just be held as liable as those who shut down the Internet. Perhaps the time has come to see the low Internet penetration rates in Africa for what they might be in reality – a weapon of suppression of whole populations. This is especially true in countries like Ethiopia, where the government has a monopoly of telecommunications services and poor human rights records.